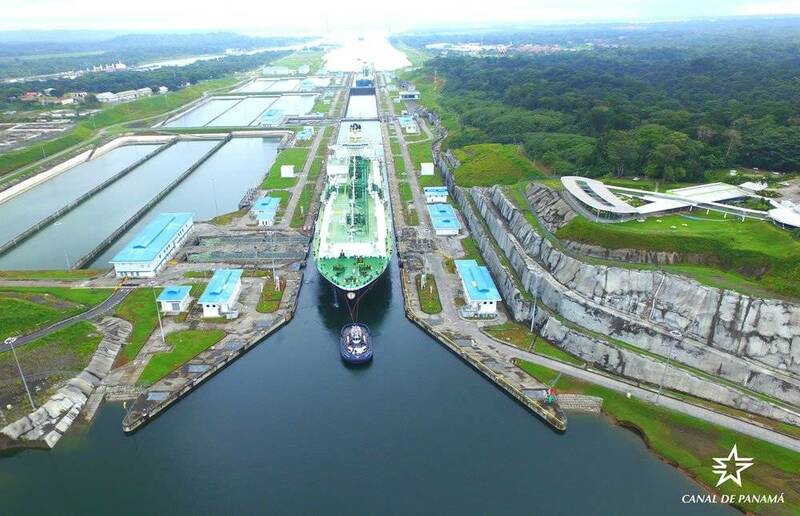 The Panama Canal registered the transit of its 4,000th Neopanamax vessel through the Expanded Canal, underscoring the steady growth of the burgeoning liquefied natural gas (LNG) segment – which began transiting the waterway for the first time following the inauguration of the Expanded Canal. The LNG tanker Maria Energy completed the milestone transit traveling southbound from the Atlantic to the Pacific Ocean on July 29. "The steady increase in Neopanamax transits reflect our customers’ confidence in the Expanded Canal, particularly with our fastest-growing segment," said Panama Canal Administrator, Jorge L. Quijano. "This reaffirms the value and impact our route has had across global maritime trade, including the fast-growing LNG segment." The Maria Energy was followed by another LNG tanker, the Maran Gas Alexandria, which also transited the Neopanamax Locks in the southbound direction on Sunday. Both vessels were loaded in LNG export facilities in the USA. The Maria Energy was loaded in Cheniere Energy's Sabine Pass LNG export facility in Louisiana, while the Maran Gas Alexandria was loaded in the Dominion Cove Point terminal in Maryland. Today, the waterway regularly transits two LNG vessels the same direction in the same day, and has demonstrated the ability to transit up to three vessels the same day in the same direction during periods of uncharacteristically high demand. The Panama Canal announced in June that it will be lifting natural daylight restrictions for LNG transits on October 1, 2018, to offer added capacity to shippers. By lifting encounter restrictions, LNG vessels will also be able to navigate Gatun Lake at the same time, allowing two different LNG vessels to transit the Canal the same day in two different directions, offering more flexibility to the segment. Of the 4,000 vessels that have transited to date, roughly 52 percent have been from the container segment. Liquefied petroleum gas (LPG) vessels constitute another 27 percent, and LNG carriers, a relatively new segment to the Panama Canal, have been responsible for 10 percent of traffic. Dry and liquid bulk carriers, car carriers and cruise ships make up the remaining transits. Other notable transits thus far include the MSC Anzu, which became the 1000th transit on March 19, 2017, the COSCO Yantian which registered the 2,000th transit on September 26, 2017, and the MSC Caterina which registered the 3,000th transit on March 2, 2018.